The Institute of History was founded in 1953 as a research establishment of the Polish Academy of Sciences – a corporation of scholars as well as a community of institutes representing various branches of learning. 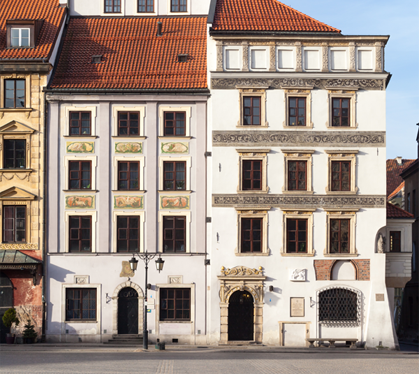 The Institute is housed in two joined burgher houses, at Warsaw’s Old Town Square (Kołłątaj’s Side): nos. 29 and 31 – “St. Anne’s” (for more see Polish version). 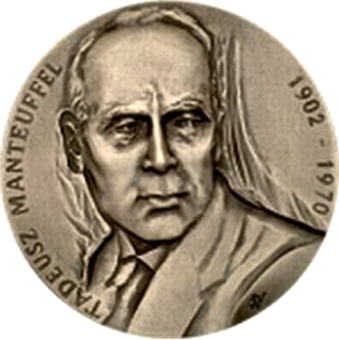 The founder of the Institute and its first director was an eminent historian of the medieval period Professor Tadeusz Manteuffel (1902–1970). The Institute conducts research on Polish and World history, from the Middle Ages up to the 20th century. Some of the research projects are being conducted in co-operation with other institutions, both in Poland and other European countries. The Institute consists of 6 departments (zakłady) and 22 sections (pracownie) of different profiles, mainly chronological or thematic. Some of them conduct research on particular regions of Europe or Poland over longer periods of time. The part of the Institute is a research library open to all historians. There is also a PhD programme, that has been run by the Institute since 1969. The Institute has also its own publishing department (Wydawnictwo Instytutu Historii PAN), which since 1991 has been publishing works composed as a part of the Institute’s research plans. The founder of the Institute and its first director was an eminent historian of the medieval period Professor Tadeusz Manteuffel (1902-1970). Research on the history of particular countries and regions of Europe, including German history (especially history of Prussia and Brandenburg), history of the Baltic States, Russia and the Soviet Union, Central Europe and the Balkans. Editions of primary sources, Polski Słownik Biograficzny (Polish Biographical Dictionary), bibliographies of Polish history, historic-geographical dictionary of Polish lands in the Middle Ages, The Historical Atlas of the 16th c. Poland. The main documentary works: editions of primary sources, Polski Słownik Biograficzny (Polish Biographical Dictionary), bibliographies of Polish history, historic-geographical dictionary of Polish lands in the Middle Ages, The Historical Atlas of the 16th c. Poland.